Lazy Gluten Free: Chicago GFAF Expo 2014! 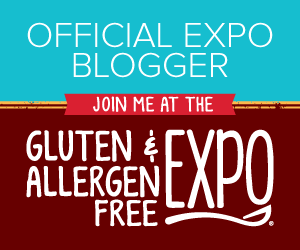 I am so excited to announce that this year I will be attending the Gluten Free & Allergen Free Expo (GFAF) in Chicago as a part of the Official Blogger Team! 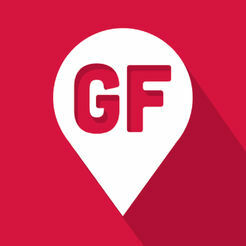 For those of you who are unfamiliar with the GFAF Expo, it is the largest gluten and allergy-free event that brings together all of your favorite brands, authors and bloggers all in one place. The expo has grown so much that it now has five events throughout the United States. That said, tickets will likely sell-out, so make sure to get yours asap (read on for details on purchasing and a discount). I can't wait to meet some of my fellow bloggers and hopefully many of you at the Chicago Expo. 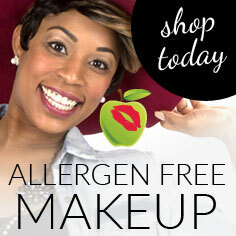 I am also looking forward to checking out many of my favorite GF brands and discovering new ones. And what's not to love about loading up on some amazing swag? For all of you in the Chicago area, I have a deal for you: a 35% discount on your admission! This discount is good for the Chicago GFAF Expo on April 12-13. Just click HERE to get your tickets (or click on the image below), and enter the code BLOGCHI at checkout to receive your discount. Simple as that!